Have you ever seen a character where the character’s coolness and alignment are determined by the number of times the word “evil” is used in their personality? That’s the exact opposite of a credible villain. A credible villain is simply a character that strives towards things we’d consider “bad”. Cruella is a fashion designer who wants to make a coat. But because she wants to use dalmations instead of traditional leopard, rabbit, minx, or fox, she is considered evil. She’s a good example of how trivial a malevolent goal can be. A villain must be built. A villain simply cannot be “made” in a passing thought. That’s where so many people mess up. There’s no short-cut to making a bad guy. Remember, a bad guy is simply a character with seedy goals. In other words, you can’t start your character having a picture in your head of a bad guy. If you do that, that’s exactly what you’ll end up with – a picture snapshot that you have no idea how to actually play – and not a complete character. You really do have to start from the ground up, and it can be hard work. Start with the basics of any character. What were their circumstances like, how did they react to the troubles that shaped their personalities, what are they like now? And once you have the basics of the character down, sprinkle in the things that make them nefarious. Do they believe that they are superior than another race and that race needs to be exterminated? Do they believe that the universe needs them to rule over it and calm its troubles? There is no set of beliefs they need to adopt to be considered malevolent, but it’s always best to tie it in with who they are as a character and where they came from (their past). 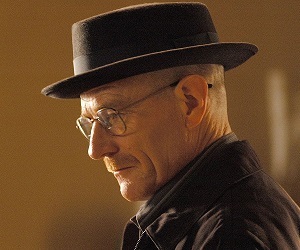 Walter White from a television series Breaking Bad is a guy who wants to keep his family afloat when he dies from cancer. To do so, he makes drugs and ends up killing people and changing into a different person. Because your credible villain is simply a character with some beliefs or goals that are unsavory, most of their gameplay will probably be quite normal. Villains are people, too, and need to eat, drink, talk, and poop just like everyone else. If you find their mundane parts too boring for your tastes, you can always plot out situations that bring out their troublesome sides. There’s a special emphasis on plotting, because if you keep waiting for a random roleplay story to bring out something exciting, it’s likely nothing interesting will happen. Unlike good-aligned characters, opposite-aligned characters will often try to do things that make characters unhappy. Plotting is especially important for this reason. You’ll need to ask permission and plan ahead of time if your character wants to do something to another character, whether minor or major. Lord Voldemort from Harry Potter is a guy who believed pure-bloods were superior and acted on it. If I’m going to teach you how to play a bad guy, I’d disservice myself by not teaching you how to deal with the consequences of doing so. Sadly, not everyone in the roleplay realm fully understands that roleplaying is acting. New roleplayers and roleplayers who play a character that represents themselves are especially prone to take roleplaying personally and feel personally insulted when things go unfavorably towards them. This problem is a combination of an experience issue and a personal maturity issue. If there is someone in particular who is acting out, try speaking to them privately and gently to explain that you are not your character. If the entire site seems set against you because an evil character is your first character, then they’re feeling wary of you as a newcomer with a troubled first character – give it time and continue to demonstrate that you are not your character. If it’s a personal maturity issue, then you’re out of luck, as you can’t make someone grow up. The best thing to do there is to move on. That might sound rather extreme, but consider that personal maturity issues will always breed a variety of many troubles, and being personally offended is only one of them. The best advice for playing such a character is to be personally friendly and active in the community. Sometimes apologizing for your character’s behavior when it’s extremely culturally offensive can help. Having other characters also helps. Article written by Xexes, check out some of his other great articles here.